I've been working on bump mapping in my RT (technically not my first, but definitely my first attempt to create an actually capable one). A lot of basic googling seems to imply the use of ray differentials, but I'm not sure I understand why that is necessary - obviously they have benefits for other purposes, but I'd like to understand the behavior of each individual part. Now on the back wall, above the arch it is super obvious that the bump map is being inverted on one half. 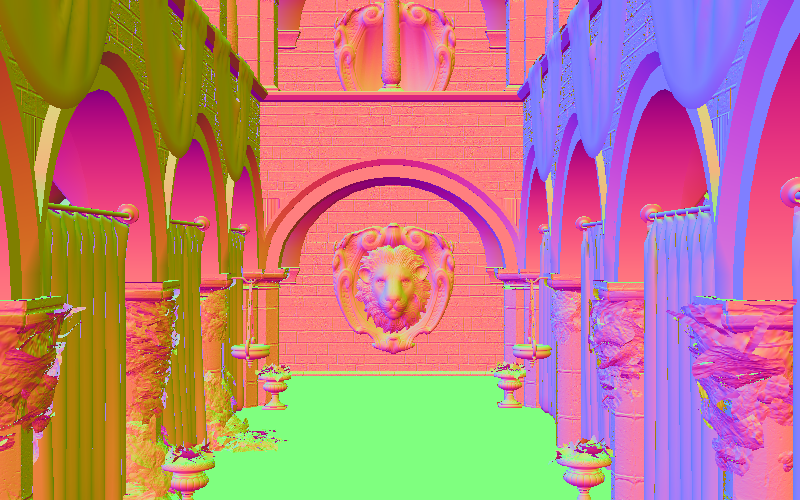 I can't work out why this is occurring, and wanted to know if my attempt to compute normal derivatives directly is flawed, and this is a symptom, or whether I've just got a bug in how I'm translating wavefront material/texture coord into the actual mapping of uv to bump map.